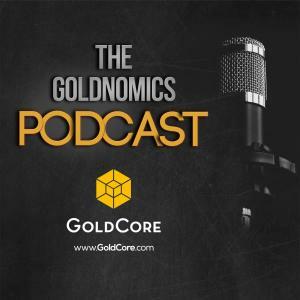 Goldnomics Podcast Ep3 –Is The Gold Price Going To $10,000? In this the third episode of the Goldnomics podcast we ask the question; “Is the gold price going to $10,000”. We discuss what will drive gold to new record highs over the coming months and years. We look at the dangerous developments in monetary policy and the geo-political tensions that make an allocation to gold a prudent move for your portfolio. As the “Everything Bubble” continues fuelled by the mainstream media and the effects of quantitative easing does this mean higher gold prices are on the horizon? 6:28 How bail-ins will impact small businesses and everyone that they employ. 10:05 Why “money in the bank”, is no longer “as safe as houses”! 10:39 How the old wisdom of “Cash is King”, can quickly become; “Cash is Trash”! 18: 18 The ongoing effect of quantitative easing and how it’s artificially inflating all asset prices. 20:30 The compelling research from PWC that proves the wisdom of gold’s inclusion in your portfolio. 31:10 How to deflect attention – The Goebbels strategy! 40:35 What underlies jewellery demand in Asia and the Middle East. It’s not what you think. 46:35 Why we shouldn’t believe what these people say but instead watch what they do.